What & Why of Coaching? Coaching You to Your Success! 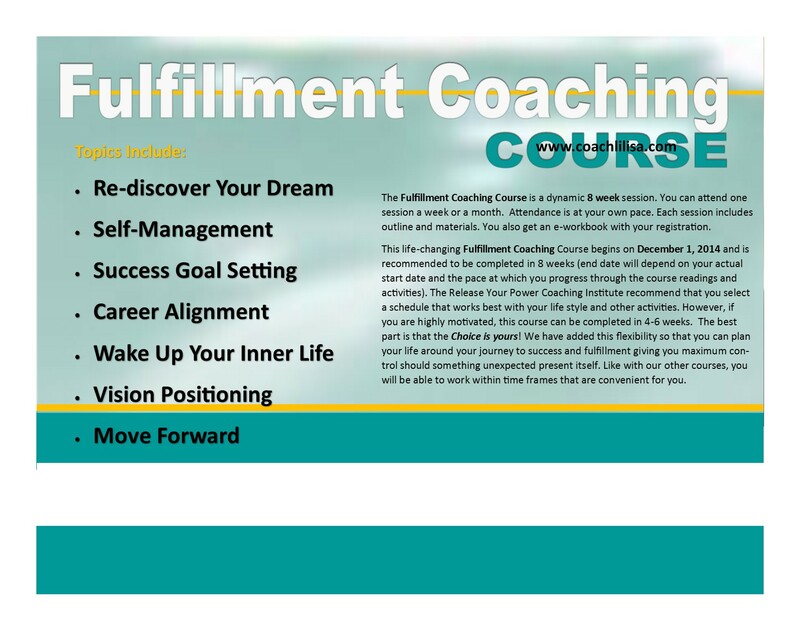 Welcome to the Fulfillment Coaching Course. You will receive all course outlines and materials once you register by clicking on the payment link below. Instructions will be delivered to your email address used to make your payment. If you don't have a Paypal account you can pay using any other credit or debit card. For any questions or comments please contact Coach Lilisa at lilisa.williams@gmail.com. This is a self-paced course that you can take when you are available. The course will start upon receipt of your payment. This course will Empower and Enhance your Personal and Professional Development. when you enroll in this course. 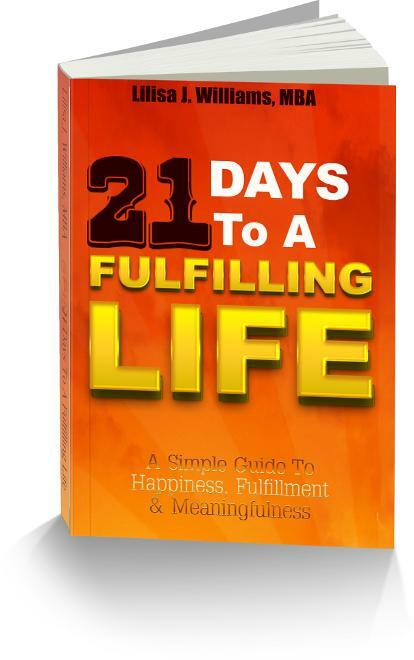 Start experiencing a new and fulfilling life today and watch what happensin your life over the next 21 Days To A Fulfilling Life!